So I wanted to post these pictures yesterday but I never had a chance to upload them so here they are! 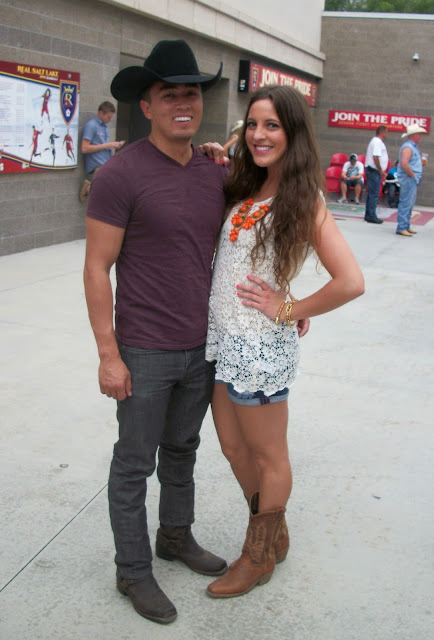 Matt and I got to go to the Jason Aldean and Jake Owen concert on Saturday with some friends! It was seriously SO much fun! I love country music, reminds me so much of home, and I was so happy that Jake Owen was opening for Jason Aldean because ever since I saw him at the Houston Rodeo I am obsessed with him! Such an amazing performer! But I got to whip out my cowboy boots for this and I love having a reason to wear my boots! Cowboy boots are some of my favorite things to wear, they are so comfy and then they are so fun to dress up! I paired these boots with some denim shorts and lace! 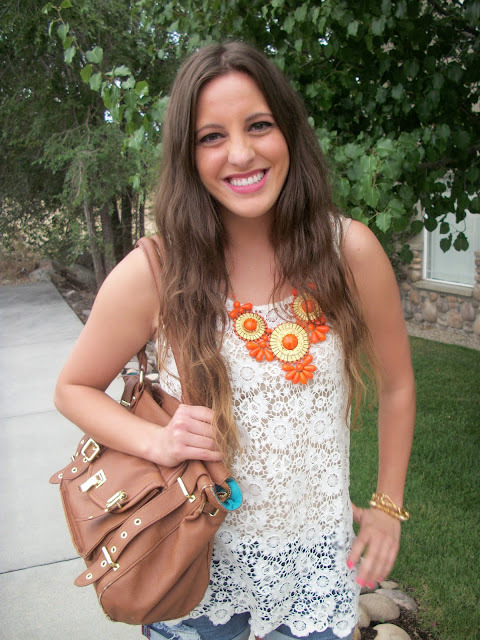 I love lace, I also think it goes pretty good with cowboy boots! The concert was seriously so fun! We got upgraded seats, so Matt and I were seriously so close! Probably like 20 feet! It was such a blast and Matt got all dressed up in boots and a hat, he looked so cute:) I love him! PERFECT concert attire! And I'm so jealous, I would have loved to go see that concert! Perfect outfit for a country concert! Love your boots! Those boots and that necklace... perfection! 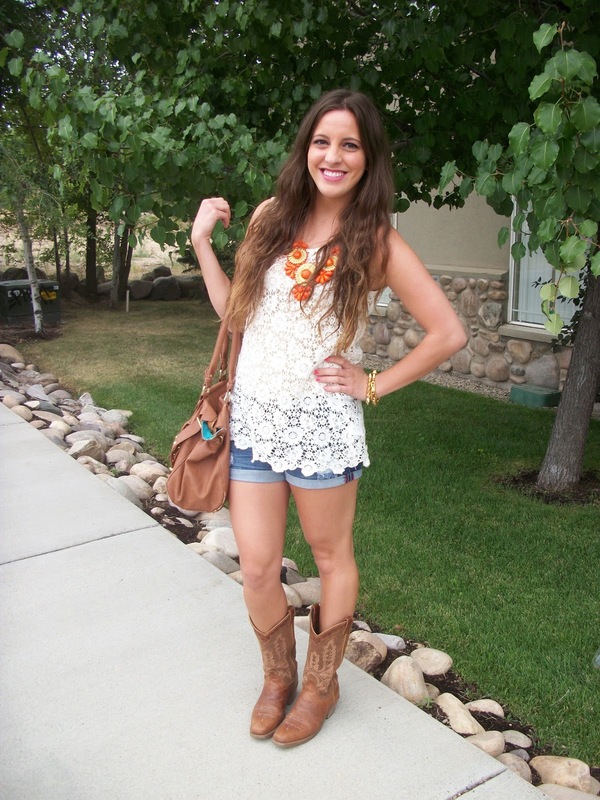 lace, cowboy boots, and cute shorts! i love it all! oh and a orange necklace! its all so fun and perfect!